This book explores the practice of organisation development and group change in a way that will appeal to anyone involved in working towards social transformation. 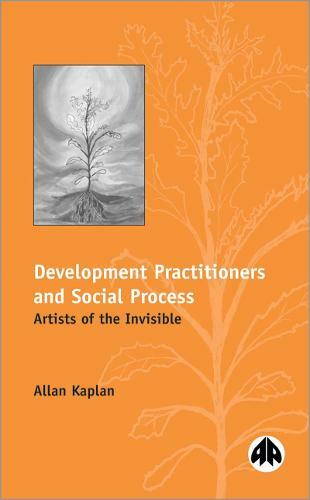 Drawing on extensive experience gained through many years of process consultancy within the development sector - mainly in Africa and Europe - as well as on the work of Goethe and Jung, Allan Kaplan presents a radically new approach to the understanding of organisations and communities and to the practice of social development. Challenging the tendency to reduce development to a technical operation that attempts to control, Kaplan's approach embraces the full complexity of the process of social transformation. He describes the terrain of social change whilst simultaneously providing exercises through which practitioners can enrich their abilities to respond to the mix of chaos and order which characterise social development. Exploring this delicate balance, Kaplan inspires a sense of responsibility and possibility for the discipline, and reveals how development groups can intervene in social situations in a manner that is both humane and effective.